Today we have a Christmas challenge at The Male Room, and a special message to wish all of you a Merry Christmas. I have two cards that I made up for this challenge, both using some of the music print from the Home for Christmas Designer Series Papers, along with some of those gorgeous baubles from the Delicate Ornament Thinlits dies. I love this combination for masculine cards, the gold and black together are quite striking. I do hope you will share you Christmas projects with us at The Male Room, and look forward to a whole new year of challenges in 2016. That is my plan, to post up a Christmas card each day of December – whether or not the silly season takes over, is yet to be seen, however I will give it my best shot, to give you some inspiration for your own Christmas cards. I have made a few in this style, so you might see a couple of these (is that cheating?). It is basically a one layer card, apart from the bauble. I have embossed the card front with the Boughs and Berries textured embossing folder, then cut a plain bauble out of the gorgeous Red Foil, then one of more elaborate baubles to go over the top in the Very Vanilla cardstock. Both baubles are from the Delicate Ornaments Thinlits dies. The Merry Christmas sentiment comes from a retired stamp set called More Merry Messages, however you could use one of your own favourites. You could also stamp it directly on to the card front if you are game (or like using stamp positioners), for this one though, I chose to use a separate flag the layer above the embossing. Stay tuned for more Christmas inspiration. 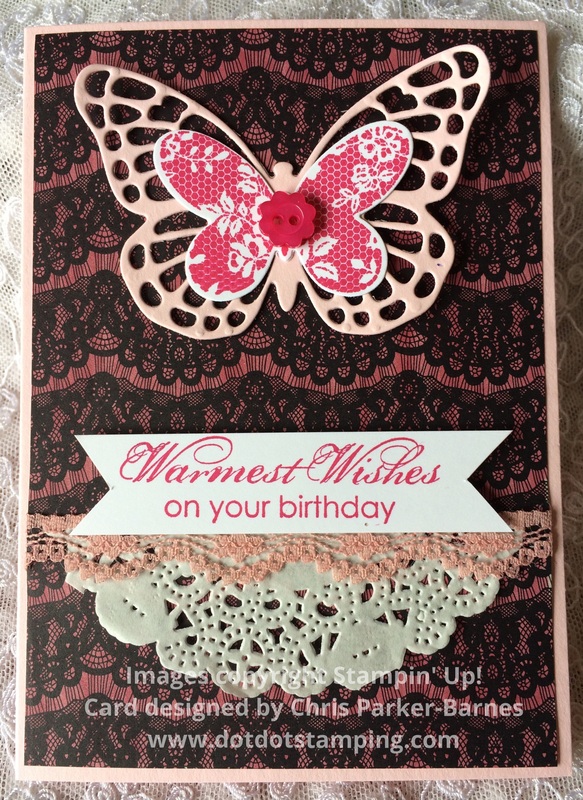 My card for this challenge is definitely girly though…. I had some new goodies arrive today, and I had to have a play. I have used some of the gorgeous Timeless Elegance Designer Series Papers. The papers are black and cream, but I have coloured over it with a pink marker so that it looks like black on pink. 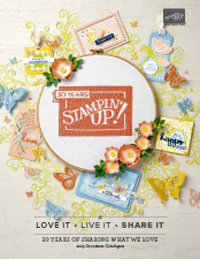 I have combined with the Butterfly Basics stamp set and matching butterfly dies, and the sentiment comes from the retired Blooming With Kindness stamp set. It’s not a great photo as we had a very dull and overcast day today – lots of rain and thunderstorms though, which is always good for the garden. However, despite the shadowy image, I hope you can see all the different pinks. Come and join in with us at Crafty Boots, and show us your pink projects! 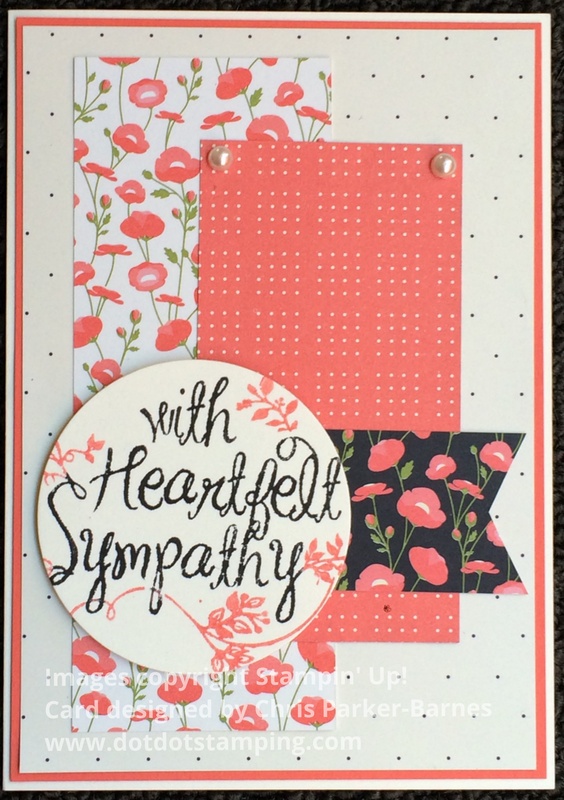 I have a few new goodies to play with and share with you today, including a beautiful new stamp set called Heartfelt Sympathy. My card uses the sketch from the current Just Add Ink challenge. 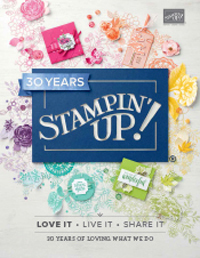 I have also used some very pretty new Designer Series Papers, the Pretty Petals Stack. The stamp has been coloured using markers, then cut out using a circle framelit. 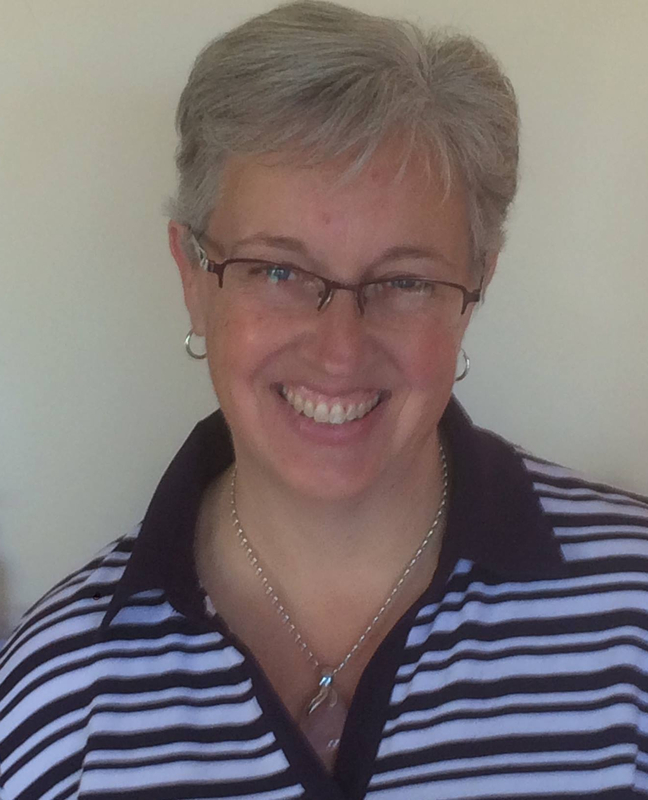 I am also entering my card in the Use Your Stuff current challenge.